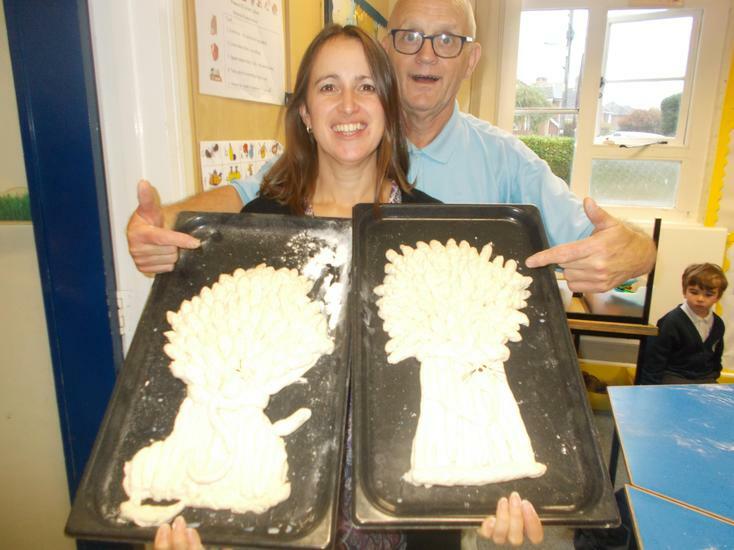 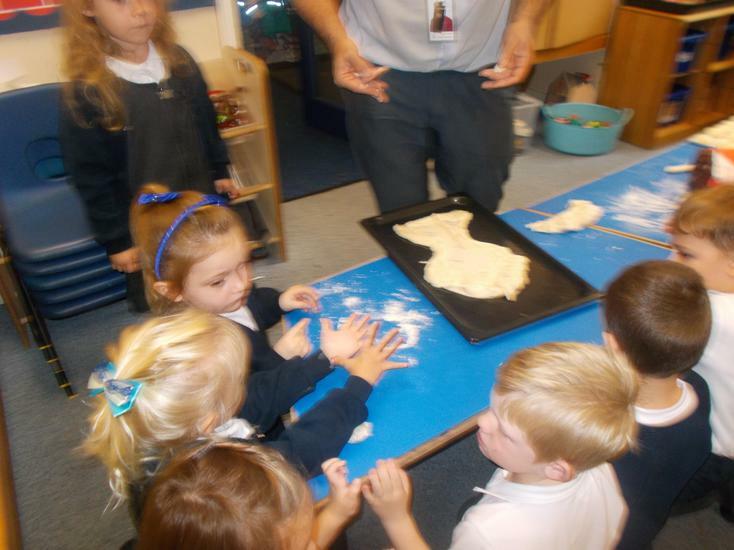 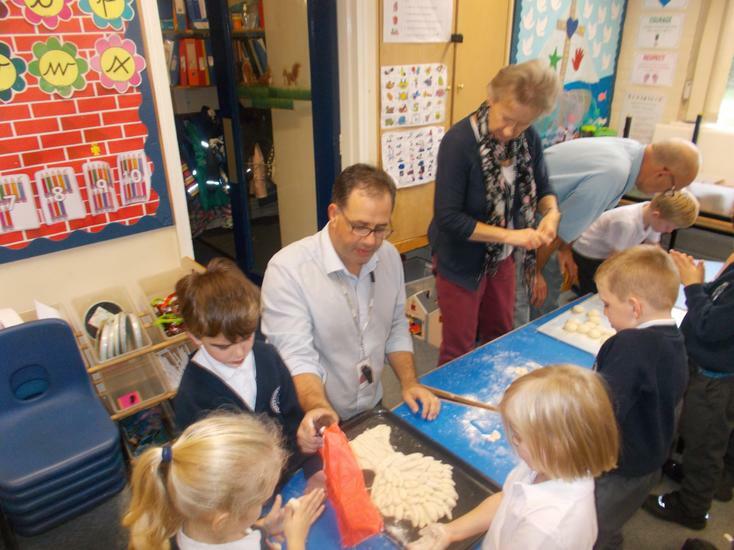 During this week we had a visit from Mr Ellis the Baker who brought lots of dough with him. 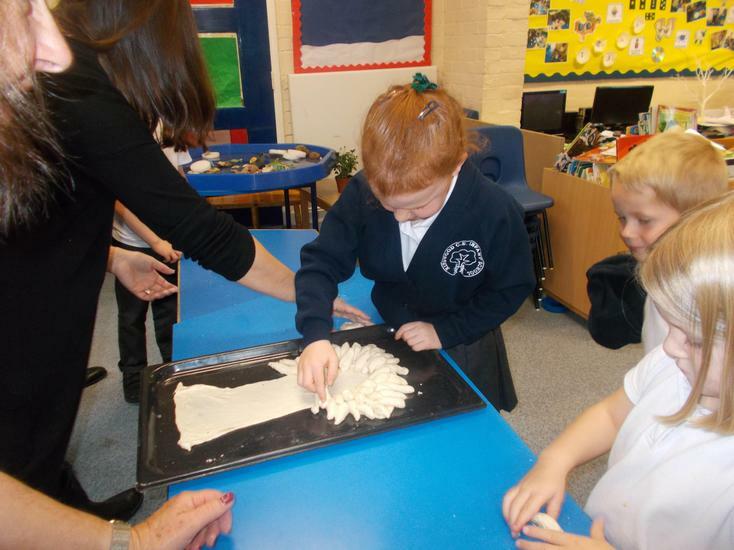 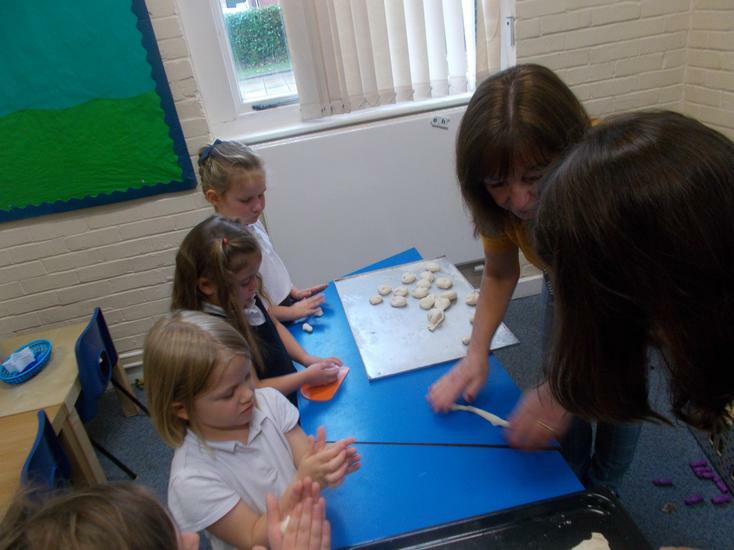 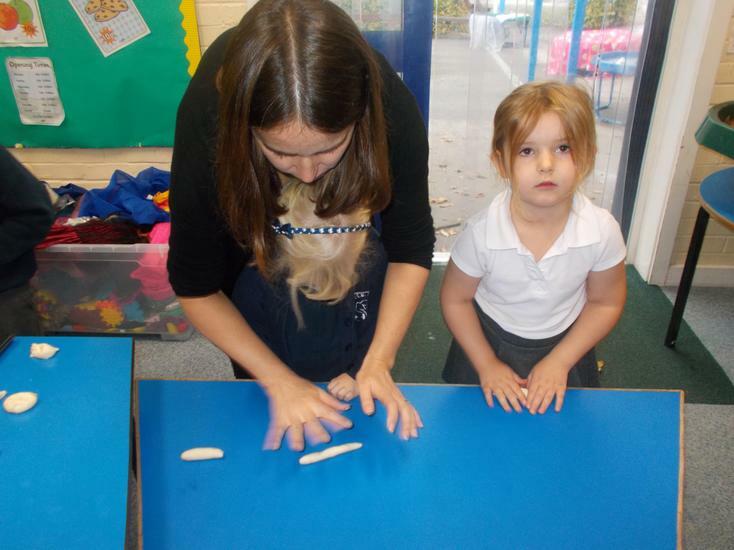 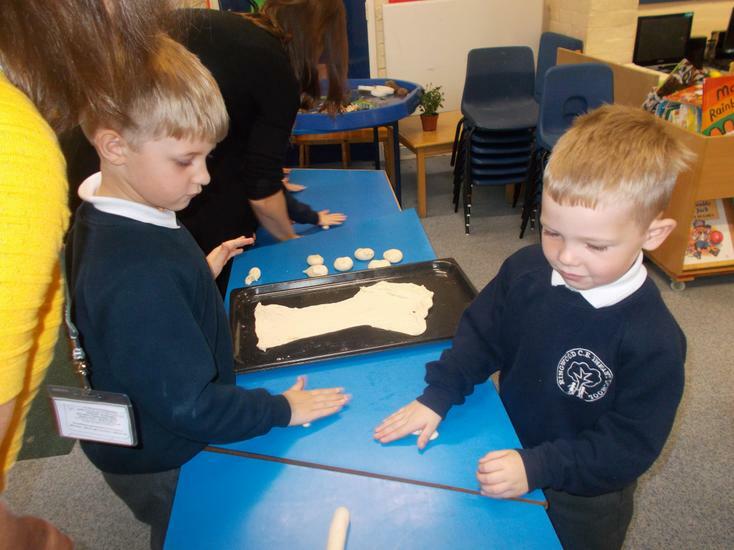 We all enjoyed kneading and rolling the dough out and building up our harvest loaves. 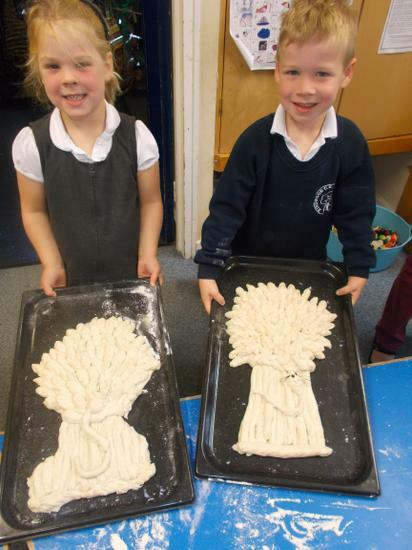 These loaves were then taken to the church as part of the harvest display. 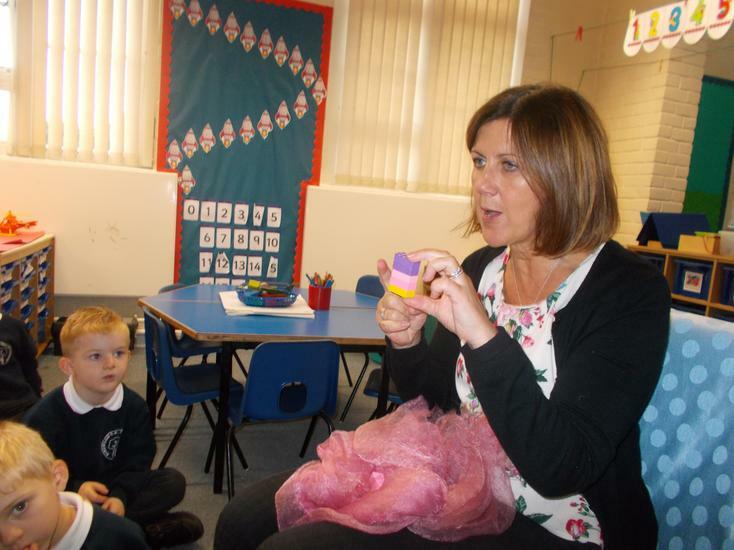 Mrs Silk Pays a Visit! 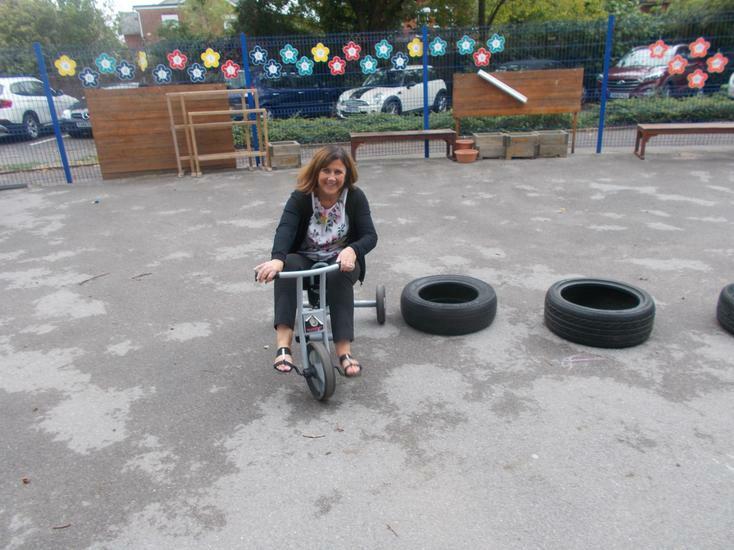 Year R had as lovely day today when Mrs Silk visited us for a quiz about our school. 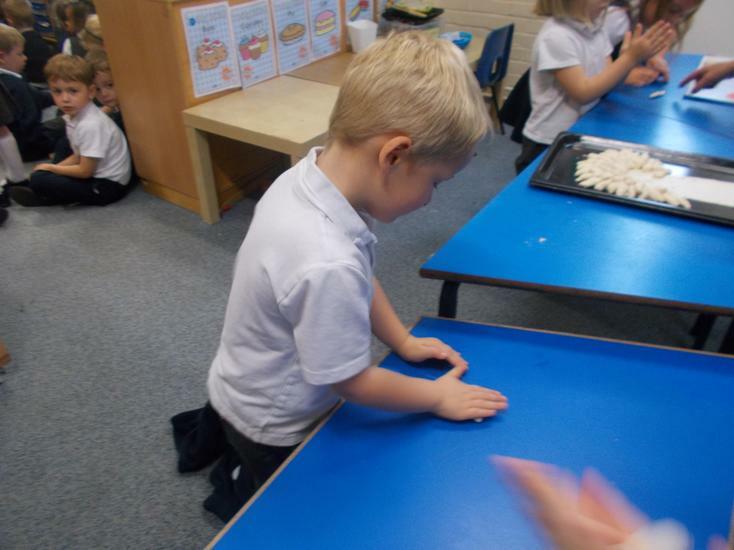 We asked her lots of different questions about our values, about what she liked, about counting and numbers and about phonics. 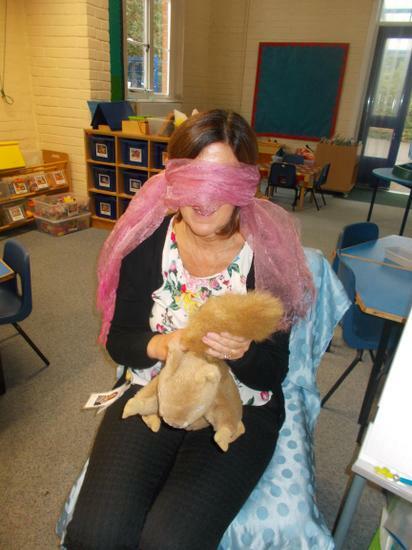 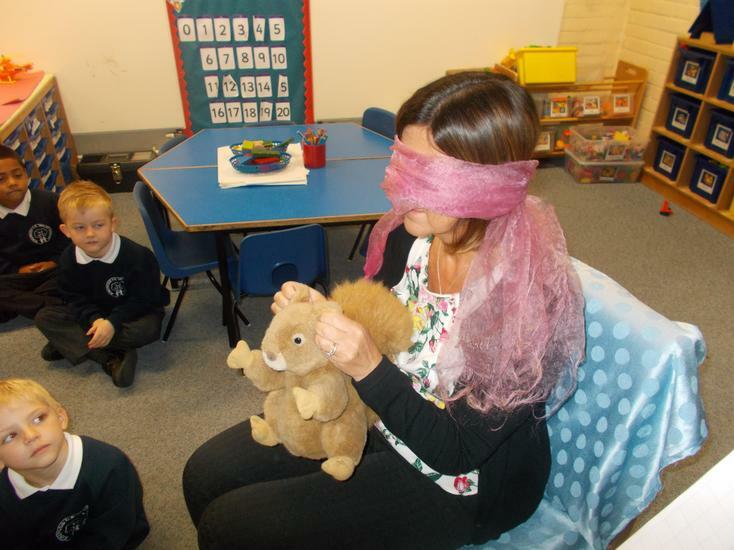 She even had to wear a blindfold and describe some objects and ride a bike around the playground. 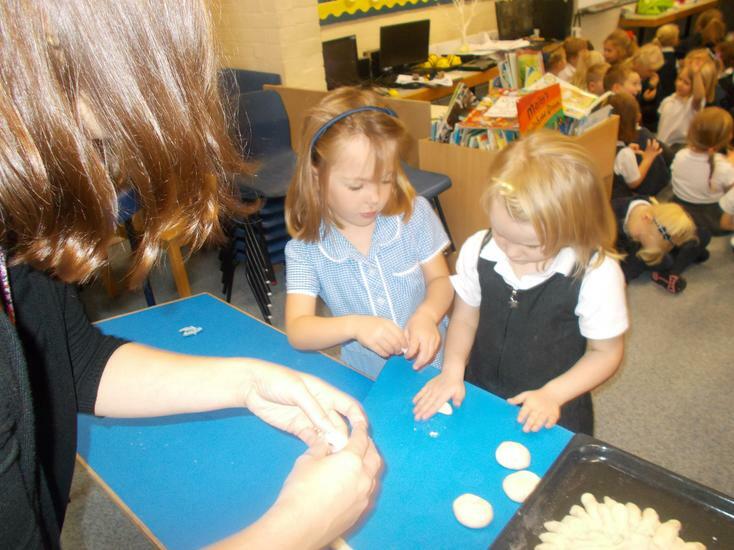 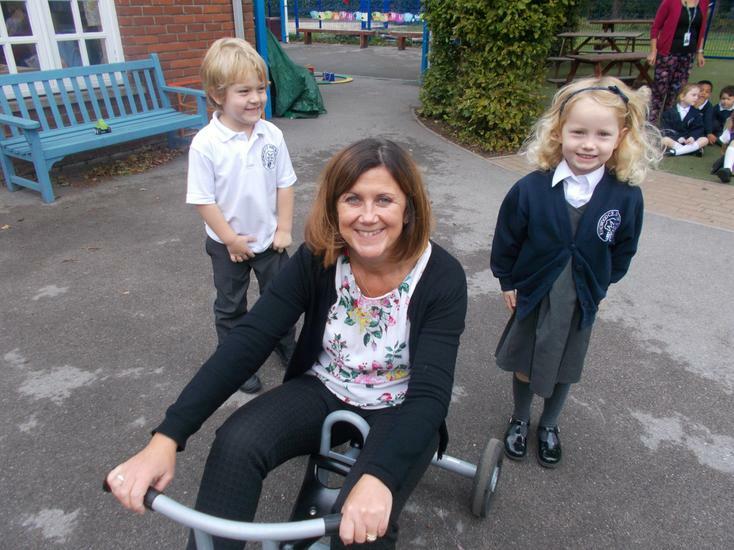 We had a lovely day and we were proud of how well the children had settled into school.